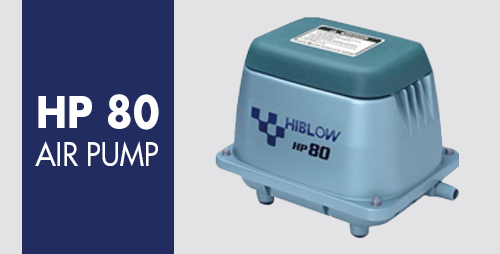 We have Hiblow HP Air Pumps available for purchase. 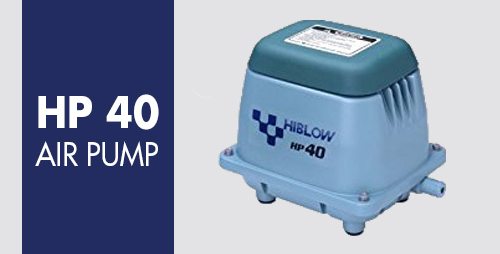 We have the HiBlow HP40 and HiBlow HP8o air pumps in stock. clean, oil-free flow, long life, low noise, low power consumption, low vibration and low starting current. We also have HiBlow HP40 and HiBlow HP80 rebuild kits available. These kits enable you to replace the diaphragm at home to extend the life of your pump without having to replace the entire pump or pay for a costly service. For more information and for purchase please visit our store and product pages. What does six more weeks of winter mean for my pond wildlife? Is Aeration necessary at this time of year?